Please join Our Pocono Waters Campaign for a panel discussion about clean streams in the Poconos and the economic, environmental, and recreational benefits they provide for the region. 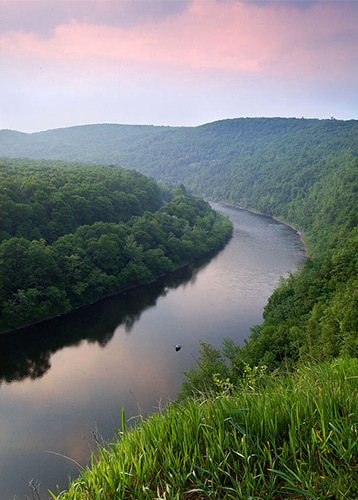 Our first panel, including speakers from PA Fish and Boat Commission, the PA Department of Environmental Protection, regional Conservation Districts, and a local biology professor, will explain and demystify streams regulations in Pennsylvania. The second panel will focus on recreational use of streams. Speakers will include a local angler, a township official, and an outdoor recreation business owner. This is an opportunity to learn about the meaning of “exceptional value” streams and how they benefit our region. There will also be time for you to ask questions about how clean streams regulations benefit you. Our Pocono Waters Campaign is unifying the community while educating citizens, business leaders, and local leaders about the importance of protecting “Exceptional Value” (EV) streams, highlighting the many ways in which clean streams and economic development coexist in a region known for its natural beauty and booming tourism industry. Clean streams are at the heart of the Poconos where 80 percent of the state’s “EV” streams are located, primarily in Monroe, Pike, and Wayne counties.